Stations are all stations in all MPECs, which observed this object. Object is the short name and an asteriks appears for objects, which have been announced in the MPECs as NEO. A discovery by this station is named as Discovery. Obs all are all observations in all MPECs for this object. 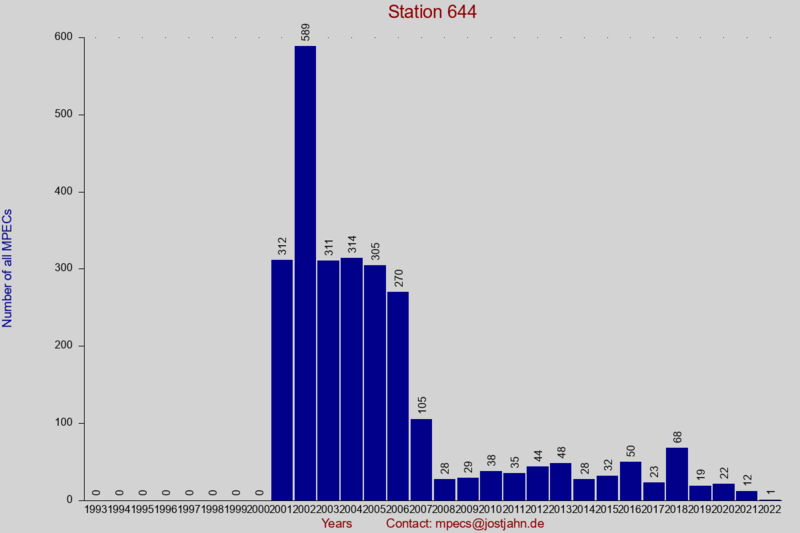 Obs 644 are all observations in all MPECs for this station. Obs percent is the percentage of stations observation to all observations. 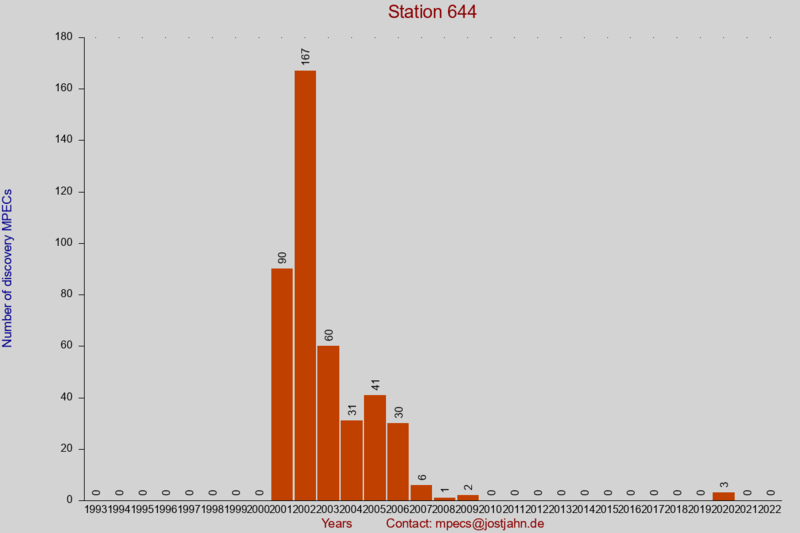 644 has discovered 364 objects. 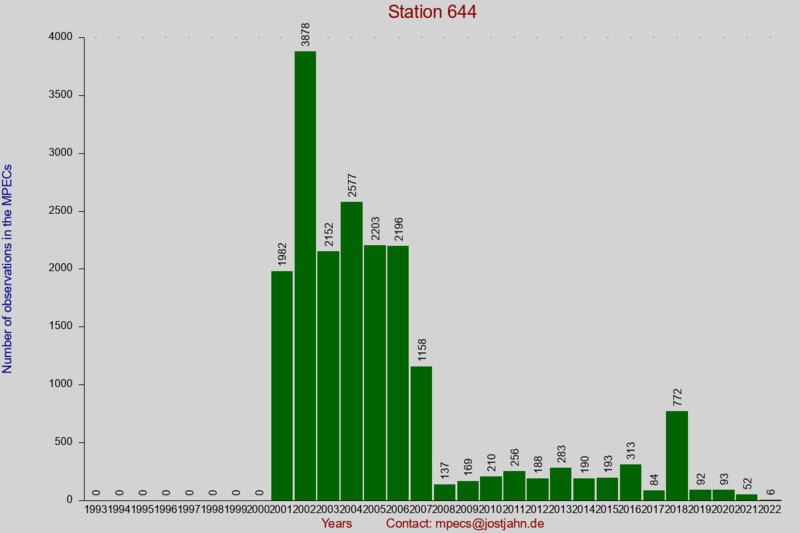 It has made 13826 of all 642462 observations (2 %) at 1867 objects in all MPECs with involved station 644. There are 2036 of all 32398 observations (6 %) at 441 objects in all discovery MPECs with involved station 644.